Restaurantchains.net is a directory of contact information for companies in the foodservice and related industries in the U.S. and Canada. Our focus is on restaurant headquarters information and not on individual units. The database covers multi-unit and multi-concept chains exclusively (2 units or more) and it’s backed by a proprietary research process that ensures accurate, up-to-date sales leads that help you boost sales and increase productivity. Our user-friendly software helps you perform customized searches based on per person average check, geography, alcohol service, and many more attributes. No other directory can match our resources, our research methods or our quality. 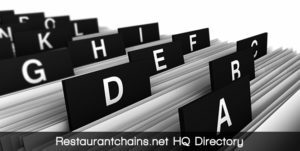 With Restaurantchains.net, you gain a direct link to VP-level contact information, current counts and other detailed information that is simply not found in other guides, directories or databases. Please contact us for a 10 minute screen share demo or go directly to the directory and start picking and choosing your list. Why Subscribe? See our youtube video. Restaurantchains.net HQ samples (small chains). Emails have been removed. Notes: Individually owned and operated. 3/2/2016 – Reflects recent unit count adjustment. 3/20/2016 – No changes in unit count. 3/18/2016 – No changes in unit count. Notes: Individually & family owned and operated. 4/11/2016 – Increased 1 unit, from 8 to 9. Notes: Includes seasonal loc (s). 4/16/2016 – The Sandtrap Bar & Grill @Liberty Forge is now The Sandtrap Grill & Pub. 4/18/2016 – No longer operates Majestic Theatre (1 unit). No longer operates Flats Original Flatbread Café (2 units). No longer operates The Sand Trap Bar & Grill @ The Creekside Creek (1 unit). No longer operates Valencia Ballroom (1 unit). Overall company decreased from 14 to 9. 4/18/2016 – Contract with Majestic Theatre & Flats Original Café expiring May 2016. 3/18/2016 – Changed human resources/training. 3/25/2016 – No changes in unit count. 3/25/2016 – Increased 2 units from 7 to 9 (29% growth). 3/25/2016 – Increased 2 units from 7 to 9. 4/15/2016 – No changes in unit count. 3/4/2016 – Added concept–Canyons Restaurant– (2 units). Overall company increased from 4 to 6. 3/4/2016 – Acquired Canyons Restaurant (2 units) Sept. 2015 from Gunner Thind. 3/5/2016 – Removed chef (Coho Café Restaurant & Bar). 3/11/2016 – Added concept, Little Bacch (1), Fish Camp (1) and Summerland Farm (1). Overall company increase from 3 to 5 (67% growth). 3/11/2016 – Added concept, Little Bacch (1), Fish Camp (1) and Summerland Farm (1). Overall company increase from 3 to 5. 3/11/2016 – Removed concepts Abbatoir (1) and Quinones At Bacchanalia (1). 3/16/2016 – No changes in unit count. Notes: Family owned and operated. 5/3/2016 – No changes in unit count. 3/16/2016 – Decreased 1 unit for Bandidos. 3/16/2016 – Taqueria B (1 unit) is now Bandidos.